Building on a very productive 2017, OCP staff have a very aggressive work plan for 2018 that takes advantage of additional security provided in the Okapi Wildlife Reserve by the presence of a large contingent of the Congolese army based in Mambasa and Epulu which have deterred movement of Maimai insurgents into the Reserve. While we wait for DRC to make the transition to a freely elected government, work will continue on rebuilding and modifying the okapi enclosures with funding from the Swiss Embassy in Kinshasa. At such a time that the DRC government stabilizes, we will work with local communities to assess whether the safety and well-being of okapi at the station can be reasonably assured. 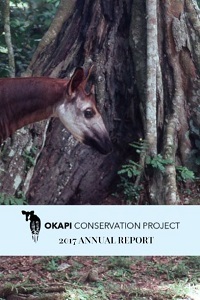 OCP staff and ICCN rangers are facing a tough year of political transition that will require extra diligence to maintain a strong conservation presence in the Okapi Wildlife Reserve and continue to engage communities in helping protect the flagship species of the most biodiverse ecosystem in Africa. This year, OCP will support the protection of okapi and other species (forest elephants, chimpanzees and 15 species of monkeys) by improving the capacity of ICCN to remove organized groups involved in poaching, mining and logging from inside the Okapi Wildlife Reserve. OCP will continue to provide support for salaries, medical care, patrol rations, fuel and transportation for ICCN rangers, administrators and officers. Field equipment will be upgraded, water sources at patrol posts re-built and patrol occurrence and coverage increased to extend coverage of the OWR by 10% over 2017 by the end of the year. OCP will assist ICCN in improving patrol occurrences and coverage by supporting two aerial censuses that identify sites of illegal activities to inform ICCN protection strategies. Monitoring of results will be based on a review of patrol data which will quantify areas covered by patrols, contacts made with poachers and miners, snares removed, and a record of key wildlife signs and sightings. With the support of a grant from USFWS, OCP will build an office and storeroom at the Zunguluka gate to better control access of people and vehicles entering and leaving the OWR and also help enforce a ban on travel at night on the road through the OWR. As the security on the road through the Reserve is upgraded we expect to see a decrease in illegal activities inside the Reserve and a related improvement in ICCN capacity in enforcing wildlife laws resulting in a decline of the trade in animal products. OCP maintains the airstrip in Epulu and the ICCN headquarters and OCP office and logistics facilities at the Epulu Station. A new generator for OCP and ICCN offices and maintenance shop was purchased in 2017. OCP continues to administer a “Family Fund” that supports the widows and children of OCP and ICCN staff killed in the line of duty. Current Zunguluka Immigration Office (right) and Storeroom (left). Through a grant from USFWS, these will be rebuilt for more efficient control of who enters and exits the Okapi Wildlife Reserve. OCP teams of educators and agronomists will continue their efforts to expand their programs in the underserved western and northern sectors of the Reserve. More extensive and frequent contact with communities around the Reserve is planned, with a focus on facilitating understanding and cooperation between the ICCN and community leaders and members regarding conservation, Reserve regulations and environmental issues. A new education/agroforestry office will be built in Mambasa which will have space for the local Women’s Group to meet. OCP educators will produce and distribute 2,000 calendars and 3,000 protected animal posters to schools, communities and local businesses around the Reserve, and radio messages are planned to be broadcast from 5 stations each month to reach as many people as possible that will highlight the important role the natural environment plays in maintaining their livelihoods. OCP staff will organize and celebrate “World Okapi Day” and “World Elephant Day” through sport with school children around the Reserve. In 2018, four motorcycles will be purchased for the education and the agroforestry teams. Currently, the Mambasa Women’s Group meets outside under a tree. With the new building constructed this year, the women will have a covered space to work during inclement weather. With the death of OCP Education Director, Marcel Enckoto in July 2017 M’Monga Kiete has been promoted to OCP Education Coordinator. He is generously supported by the Houston Zoo. M’Monga will serve as OCP’s liaison with a diverse set of communities including ICCN. He will meet regularly with community, school, government and civic leaders to form connections that will be the basis of OCP’s outreach to communities in the entire region. M’Monga is a previous Wildlife Conservation Network scholarship recipient and a very promising conservationist and future leader in the OWR. Helping address the basic needs of communities and local administrations reinforces the positive relationship between communities, ICCN and the role of the Okapi Wildlife Reserve in improving their livelihoods. The agroforestry program has a known track record of improving crop yields and soil nutrition and is actively sought out by isolated rural communities. Producing surplus crops to sell reduces dependency on involvement in illegal activities to feed one’s family. Besides growing food to eat, cooperating farmers produce cash crops which provide additional income to pay school fees and health care bills. OCP staff will construct and operate a new nursery in Wamba in early 2018 to serve the northwest side of the Reserve. 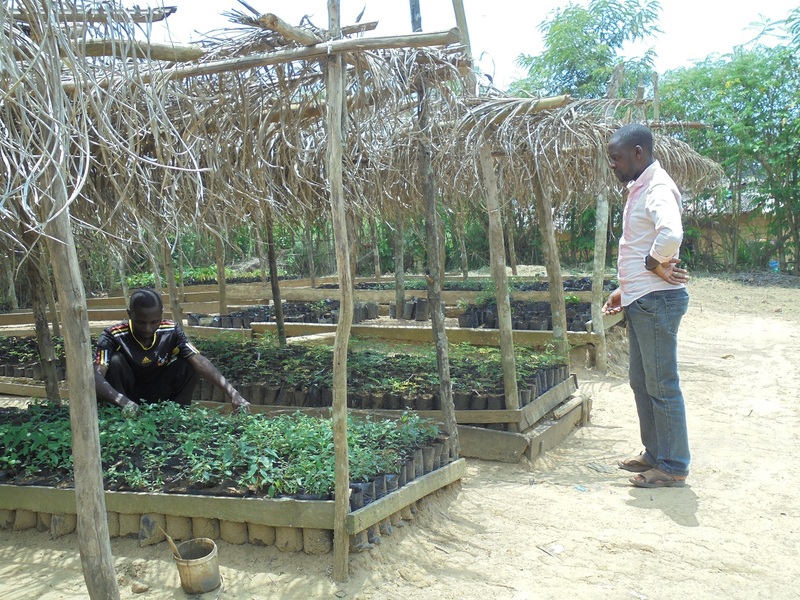 This will bring the number of OCP nurseries producing tree seedlings and vegetable seeds for distribution to five. 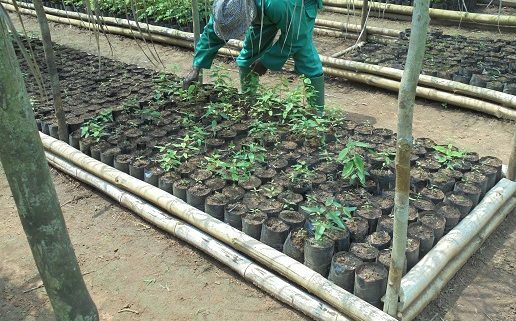 With the addition of two new nurseries over the last two years, we expect to plant over 60,000 tree seedlings in 2018. Monitoring the performance of new farmers and documenting changes in land use patterns will provide information on the impact of the program in decreasing slash and burn intrusion into the OWR and raising the productivity of those families involved in the program. 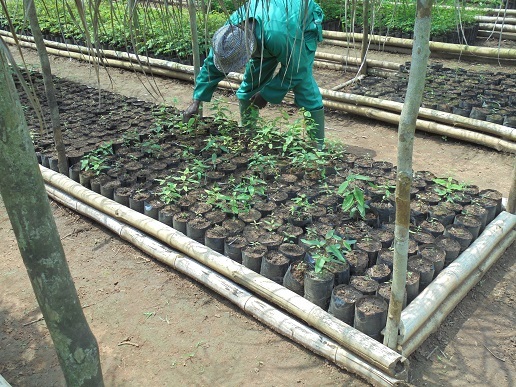 Each nursery can produce 10,000 tree seedlings for reforestation projects and our agroforestry program. 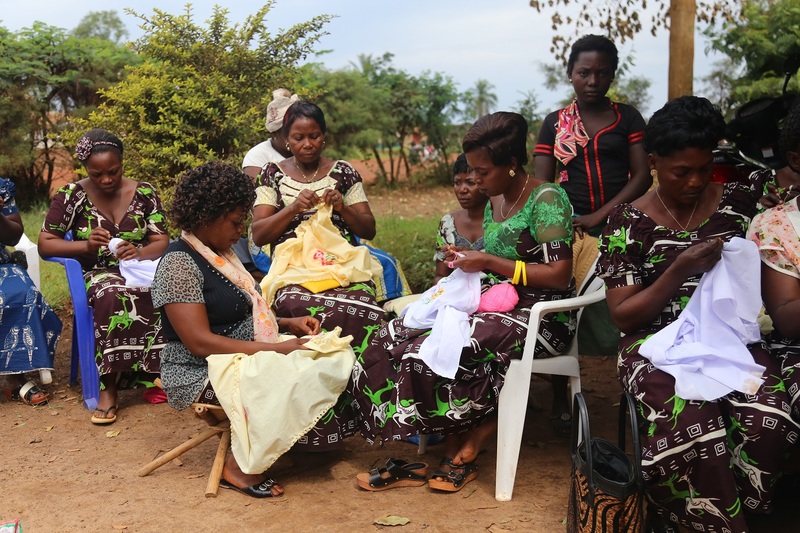 In 2018 OCP will support the growth of five Women’s Groups in their efforts to develop micro-enterprises that generate cash income. The Women’s Groups numbers have substantially increased in number due to the evidence of improved livelihoods and interest of many women to get involved in this OCP initiative. OCP pays to register the groups with the government and provides administrative support as well as startup materials for microenterprise projects such as sewing lessons and machines, seeds and tools for community gardens, and assistance caring for orphaned children. Women that benefit from OCP project assistance are often vocal supporters of improving sustainable resource use and the need to stop the destructive activities of poaching and mining. To improve the lives of women and girls who are responsible for providing clean water to their households OCP staff will rebuild 4 water sources that have fallen into disrepair in villages around and inside the OWR. This will supplement the nine water sources rebuilt last year. One of the greatest needs of the communities is acquiring supplies for their local clinics and hospitals. OCP educators have ranked improving healthcare conditions as one of the primary activities which will positively influence attitudes regarding the Reserve. OCP operates a health clinic in Epulu which employs a doctor and five nurses and is open 24 hours a day. 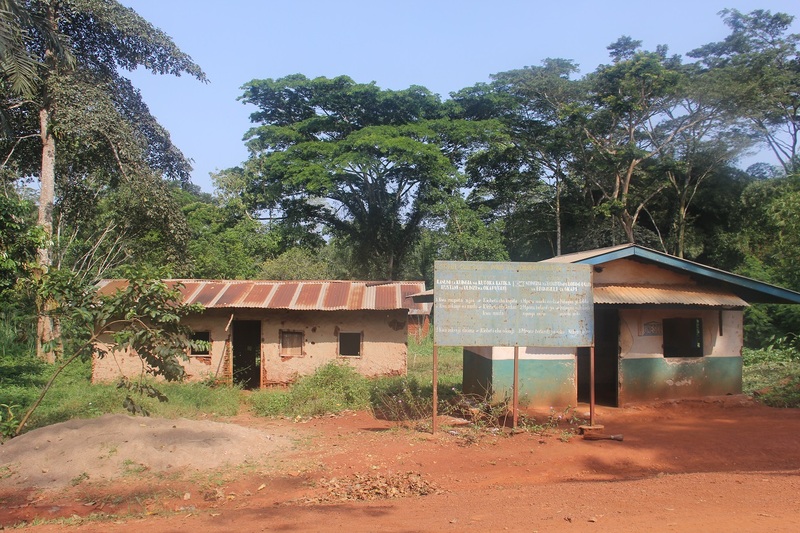 OCP is working to raise funds to support 20 rural health clinics that are in need of improvements to the structure of their buildings, medicines, mattresses, beds and sanitary supplies. Your support helps make our programs make an impact. Under challenging conditions, OCP staff and ICCN rangers are saving okapi and pristine rainforest habitat everyday through hard and dangerous work. All our friends and donors make it possible for our staff and the ICCN rangers to do their jobs but most importantly with their salaries they can support their families, educate their children and improve the quality of life for their extended families wherever they live.